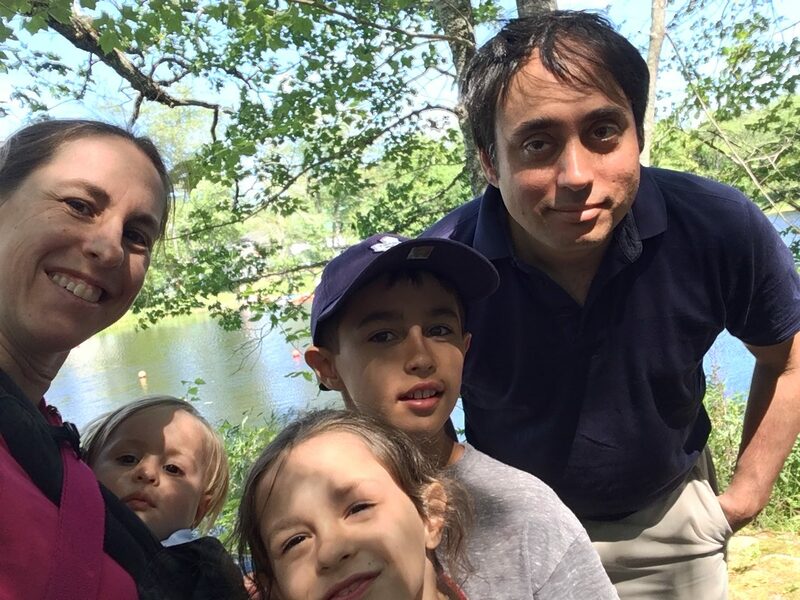 Yesterday morning, on a beautiful warm and sunny Sunday in the summer, David, Nessa, Julia and I (and our nephew Eliah!) got in the car and drove to the airport. Six weeks had quickly passed and it was time to collect Matthew at the airport. 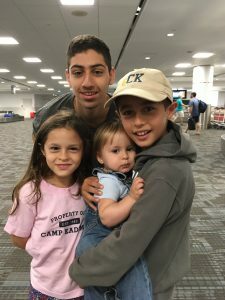 His fourth summer at Camp Kadimah was over and it was time to return home. 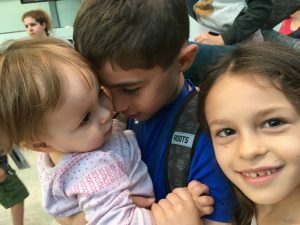 As I watched his tanned and dirty face light up as he saw his family when he entered the arrivals area I knew my family was complete again. The three celebrating Matthew’s return yesterday, with Eliah too! Three months into blogging people often ask me if I have found my groove, where I plan to take this blog or if I plan to tackle more controversial topics. They also ask me if this space is personal or if I am open to sharing thoughts or topics that are more private. So far, the majority of my posts are light and consist mainly of my musings. For the most part I write about what I see and experience every day. But sometimes I write about a topic of which I am passionate, such as the role of women in society or childcare. 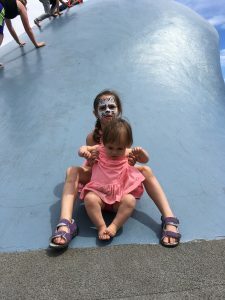 The post I take most to heart is the one I published on May 26, the day Nessa turned one. This delicious little baby, who is now 14 months old, is our miracle. The day she was born I knew my family was complete. 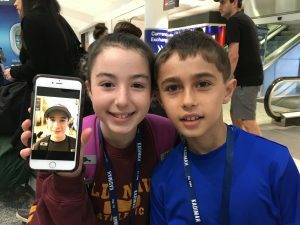 When Matthew flew off to camp last summer, and again this summer, I felt a void in my house. When he wasn’t home my family was not complete. We are a strong family of five. I learned over the past fourteen months that each of us contribute something different and special to this dynamic. Many couples either choose to not have children or for various health-related reasons cannot have children. I realize these people are in very different categories, but at the end of the day they are childless. For all the accomplishments in my life I am most proud of my children. They are rowdy, messy, often dirty and expensive. But they are also loving, intelligent, sweet and give the best hugs. My life would be nothing without my family. 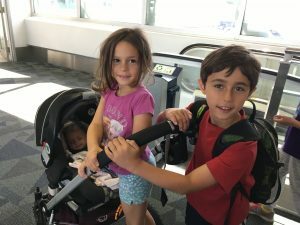 In my May 26 post, I wrote about my struggles with infertility and my great desire to have a third child. I know that there are many women out there who are dreaming and wishing for just one child. That one child would be everything to these women and would complete their family. My message to you, is don’t give up. I will never say that the dream is an easy one to achieve, but if you want to complete your family with a child then my advice to you is to keep trying. 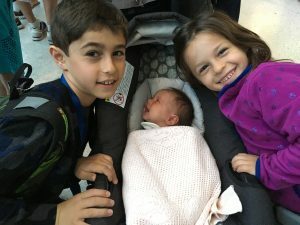 Every time I look at each of my three children I am reminded of how much they mean to me and how my family and my life are complete because of them. So, now Matthew is home, and the sliced apples, strawberries, iPad and sports marathon have returned. The house is a bit louder and life more hectic with three kids in the house again. I wouldn’t have it any other way. I’m sitting here late Sunday night writing this Monday post, hoping to get ahead before I fly back home to Toronto. I have a couple of the best chocolate chip cookies on a plate beside me, baked by the very special Cathy at Camp Kadimah. My husband and daughters are asleep behind me, tucked in to the comfortable beds in our hotel in Halifax, Nova Scotia. 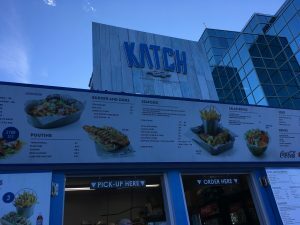 It is the end of a busy long weekend, filled with the very best in Maritime hospitality, good friends, close family, tasty food and of course our beloved Camp Kadimah. For the last few years we have made the annual trek out to Atlantic Canada in late July to visit our son at camp. We have grown to love this part of Canada. Every time I land at the Halifax airport I feel energized, and as I walk off the plane and am greeted by some of the most cheery and friendly people in the world. Halifax is one of my most favourite cities in the world. It has all the features of a big city, with shopping, restaurants, historical sites and trendy neighbourhoods but still retains a small-town feel. 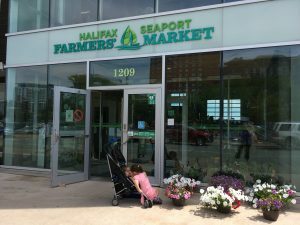 Getting around Halifax is easy and quick, and the downtown core has maintained its maritime essence. The famous Harbour Walk, along the boardwalk, runs north to south and is always crowded with both locals and tourists, all out enjoying the city. When you visit a city year after year, in the same season, you start to feel at home and crave some of the local delicacies and treats. 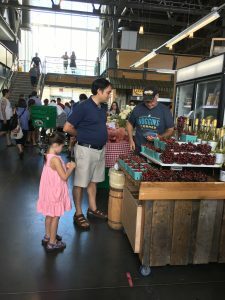 Our checklist included a visit to the historic Seaport Farmer’s Market that has been operating since 1750 (though not necessarily in the same location). 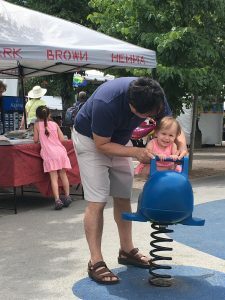 We visit some of the same vendors each year to pick up picnic supplies to bring to camp, and it’s always easy to shed our cash and fill our basket. There’s our daughter’s favourite spot along the boardwalk, the tugboat playground, which sits beside a famous wave sculpture. I love the sign beside the wave which says, “Please do not climb on the wave,” which is ignored by locals and tourists alike who love to climb and slide down. Who says you can’t ride the wave? Then there’s the food which we must sample every year, and woe is me if I miss out on anything on my list. I must have some fish and chips, a strong and high quality iced-coffee (the spot I love is under new management now but it’s still just as good), sushi from Momoya (up on Barrington Street) and the day is not complete without an ice cream from COWS. Other snacks and attractions may pop in here and there, but these are my staples. 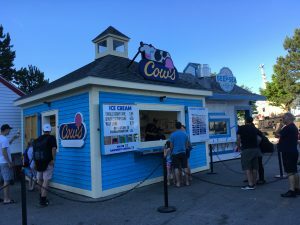 Cows has its own stand in the middle of the boardwalk now! 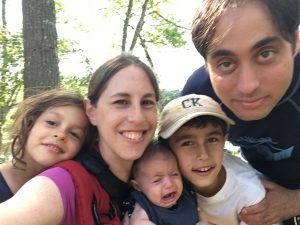 The climax of our family’s annual summer weekend to Maritime Canada is the visit to Camp Kadimah. 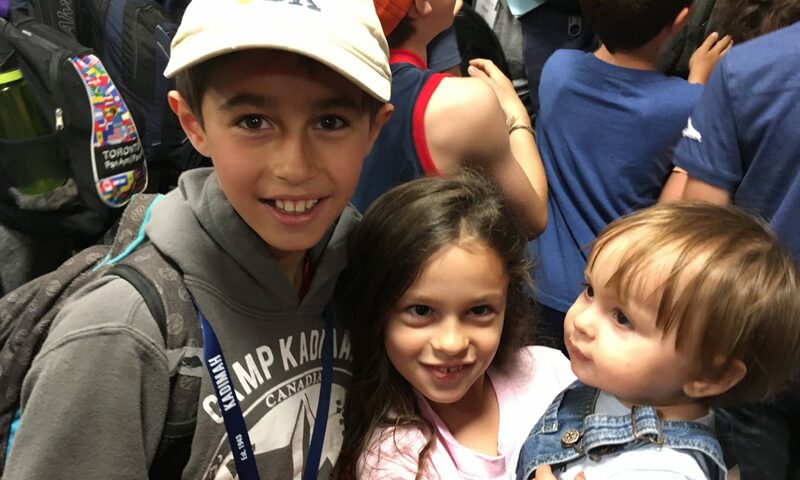 As I have mentioned in a couple of previous posts, overnight camp is a wonderful privilege shared by many children across the world, and the few hundred children who call Camp Kadimah home every summer know it’s a special place. I get goose bumps and my eyes get teary every time I get my first glimpse of the camp. As the car goes around the bends in the road and the whole camp appears before my eyes, my excitement grows. As I saw the tanned smiling face on my son this morning I knew my trip was complete. 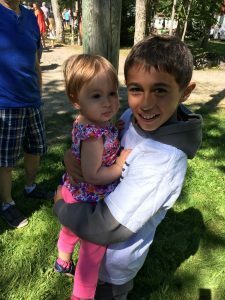 Matthew ran to hug, hold and cuddle his baby sister, then we enjoyed a wonderful day at camp. 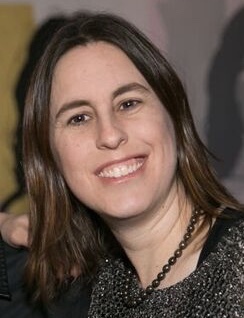 Yes, she may be the Property of Camp Kadimah, or at least she will be in summer 2023! 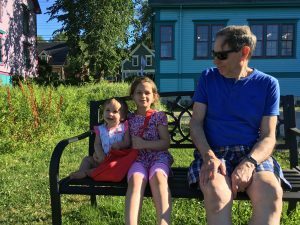 My parents have five grandchildren at camp this summer. Here’s six of the grandchildren, of whom four went to camp. Camp Kadimah is the very essence of Maritime hospitality, with friendly faces and a welcoming spirit all around. 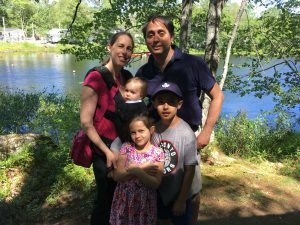 It is the heart and soul of the Atlantic Jewish community, and I’m excited to be at camp next summer when Kadimah celebrates its 75th anniversary. I’m sad my short trip is over, and I look forward to returning next summer when no doubt I will be greeted with yet more Maritime hospitality. 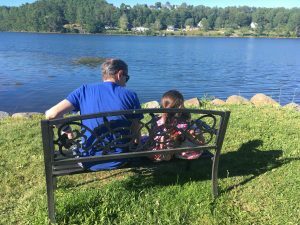 My father and his granddaughter looking at the water in Mahone Bay after a day at camp. 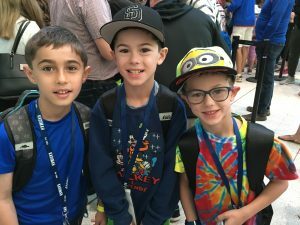 My Son Flew off to Summer Camp this Morning – Can I Go with Him? 5:00 AM and the alarm clock goes off. I hear the faint voice of a radio announcer giving me the morning news, sports and weather. I see the faint light of sunrise in my window and the house is quiet. It’s time to get up, wake up the family and rush to the airport to send my son off for another summer of overnight camp. The highway is empty and it is easy to find our way through the maze of parking at the airport at this time of day. 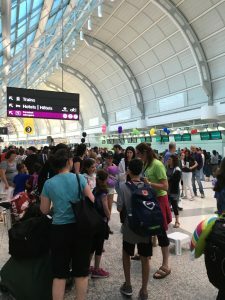 The airport is relatively quiet, and we know we are in the right place when we hear the loud din of children and see the commotion of a summer camp trying to get 156 children onto an airplane. 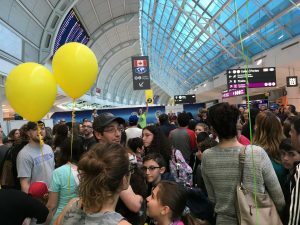 There are coloured balloons and, fluorescent t-shirts and even signs, trying to create organization from chaos. Somehow families line up, names and ID are checked, hugs are given and the children are off. It is a tradition, and I believe a tremendous privilege, for thousands of children each summer across North America, to travel to an overnight summer camp. It is an anomaly to those who have not attended camp or who have not packed up or sent their children. 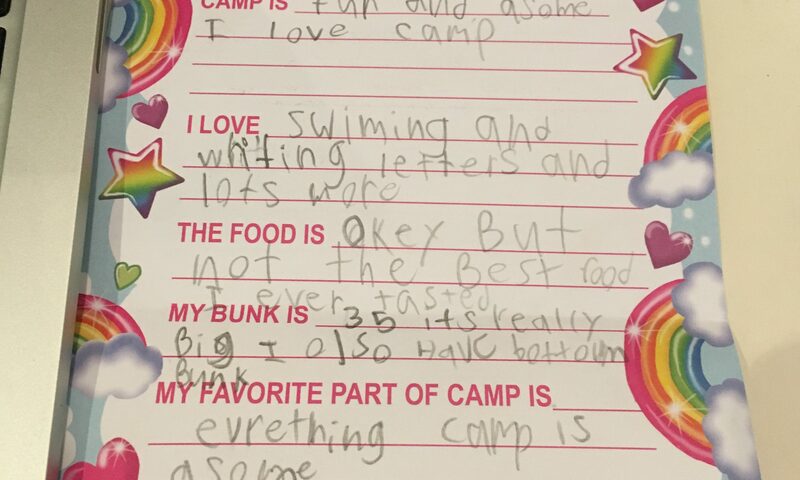 I believe that overnight summer camp is one of the greatest gifts a parent can give his or her child. It is a wondrous place where kids can just be kids. On the surface, it’s a terrifying thought – hundreds of children running around in the wilderness with a small but reasonable number of “adults” (most aged 18-22) in charge. Do they eat? Shower? Brush their teeth? Do they sleep? 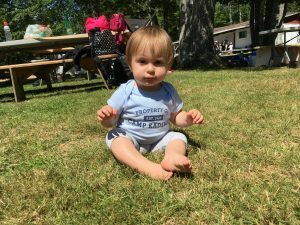 Whether it’s a one-week camp one hour from the city or in the case of my son, a six-week camp half a country away in central Nova Scotia, it is the best way to enjoy the warm weeks of summer. In Canada children can choose from a large array of camps, from specialty programs like a week of horse back or riding to those that offer a variety of activities for up to six, seven or eight weeks. 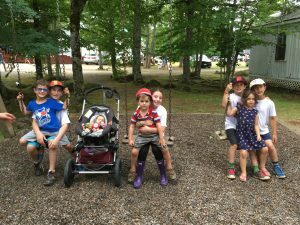 My son’s camp, Kadimah, has been hosting children since 1943, giving them a well-rounded memorable experience on the edge of one of Canada’s small beautiful lakes. Thousands of children have grown up there, met their spouses there, sent their children there and now even their grandchildren. My son has six cousins with him at camp this summer and tons of friends that he has made in his few years there. My son was a bit anxious this morning. After all, camp is over 1,500 km away and he will be away from his parents for six weeks (we will see him in three weeks on visitor’s day but just for a few hours). That’s not it, he told me. He is concerned about being forced to swim every day, to wake up early every day and he will miss his baby sister. Will the baby remember him when she sees him in three weeks? What about his beloved Blue Jays? 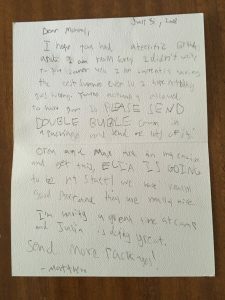 I assured him the baby will remember him and that I will send him a daily letter with all the scores and sports news he needs. Matthew says good bye to his sisters. It’s hard to let go of his baby. As he arrives at camp this afternoon and jumps off the bus I know that his anxieties will disappear. One of the greatest moments for a child is that final section of the road up to camp, as you see the cabins and the lake appear. As each child passes through the camp gate and the bus pulls up the stomach flutters and the excitement comes to a crescendo. Summer has begun. I miss those days and I miss that wonderful feeling of the special arrival at summer camp. Can I go too? Growing up, the month of June meant not only that school was coming to an end but also that camp was coming near. I’m not talking about day camp, which has its merits and is enjoyed by thousands of children, I’m talking about overnight. I mean parents sending their kids away from home for days, a week or in my case, many weeks, every summer. I will get to my personal reflections about overnight camp (and one in particular) in a moment and why I feel so strongly that every child who can and wants to go should go. First, I want to tell you all about an important rite of passage for every camp mom: packing the duffle bags. 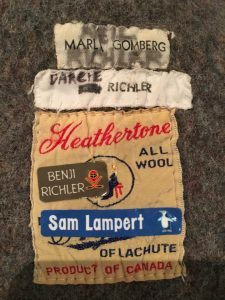 It never occurred to me as a child, as I arrived at camp and threw my sweaters, shorts, bathing suits and other miscellaneous items on the cabin’s wooden shelves, that my mother had painstakingly bought, collected, organized and packed every item in my two duffle bags. Oh, and not only my stuff but also the dozens of items in my sister’s and brother’s bags as well. My mother considered every detail to prepare me for every weather condition, activity and special event that I would face every summer. My camp days are over, but 2017 marks my son’s fourth summer at overnight camp. I have to say that as I get older each year maybe it’s a good thing my memory is weakening and I forget about how much work it is to pack a child for camp. I have carried around my now tattered packing list with me like a baby and its blanket. 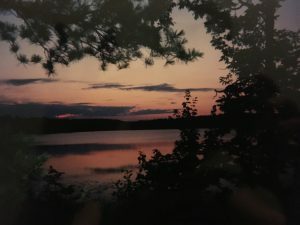 There have been dreams in which my son arrived at camp and his bags were empty and the camp had to contact me to scold me. I have even had dreams where I too was back at camp and forgot to bring my duffle bags. 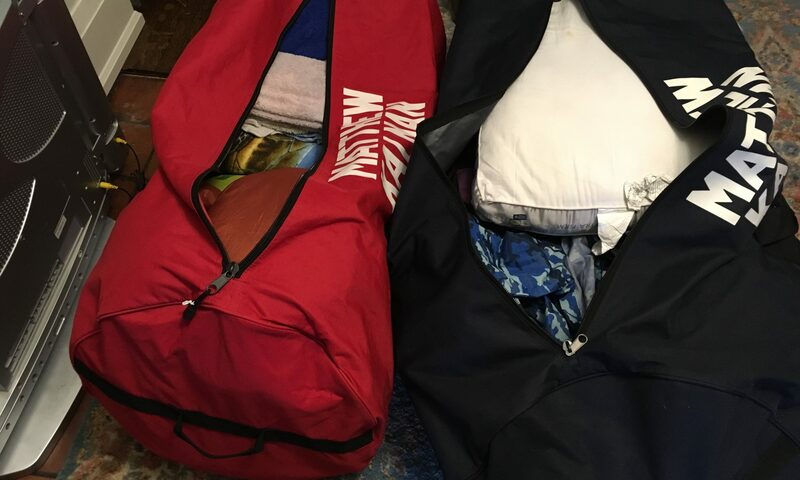 Packing a child for camp is very stressful, but it is such a rewarding feeling to zip the giant duffle bags closed, dump them in the car and send my husband off to throw them in the truck, ready for the journey to Nova Scotia. Nova Scotia you say? Alicia, don’t you live in Toronto? 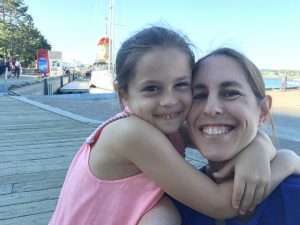 Why do you send your child over 1,500 kilometres away for overnight camp? It’s simple – Kadimah. I attended four different overnight camps as both a camper and member of the staff. Each place had its positives and negatives, but my favourite camp, the one where I fit in best, was Kadimah. 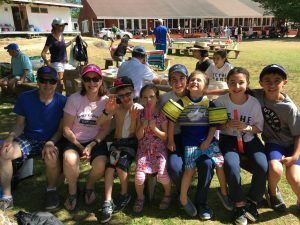 Founded way back in 1943 by the Atlantic Jewish community, Kadimah is rooted in community and gives children a warm, fun and safe experience summer after summer. It helped mold me and so many other children, teens and young adults into the adults we are today. My sister met her husband there, children make lifelong friends there and Cathy the baker makes the BEST chocolate chip cookies (she has been baking these cookies for decades!). 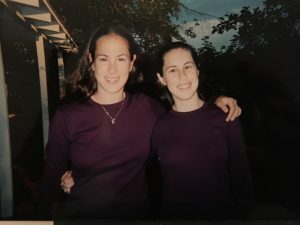 My sister and I at Kadimah almost 20 years ago. We haven’t changed a bit, don’t you think? 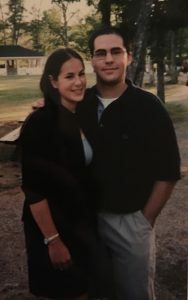 My sister and her then boyfriend (now husband) at Kadimah just a few years ago! My kids at Kadimah last summer, with their first cousins. Yes it’s a family affair. Doesn’t everyone do a selfie on Visitor’s Day? Nessa wasn’t happy about it. As I bought, collected, organized and packed every item into my son’s duffle bags this week my memories of my days at camp came rushing into my head. Will he wash his hair with the shampoo or dump it out on the last day of camp to make me think he cleaned himself regularly? Or, will he change his underwear daily, and if he does, will he place the dirty underwear in one of the two laundry bags I packed? Will any of the 17 pairs of socks come home? 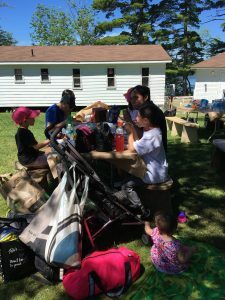 These are questions a mother asks as the duffle bags make their way to camp and the children follow close behind in the coming days. Today is the last day of school, so that means camp must be near!